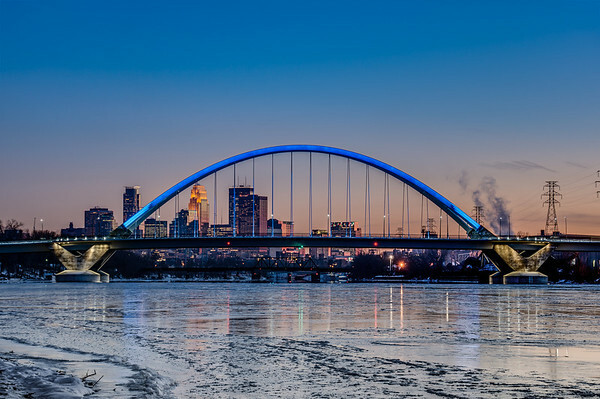 I’ve seen a ton of photos of the new Lowry Avenue Bridge in northeast Minneapolis. I thought I would take a wider view with remnants of a sunset. 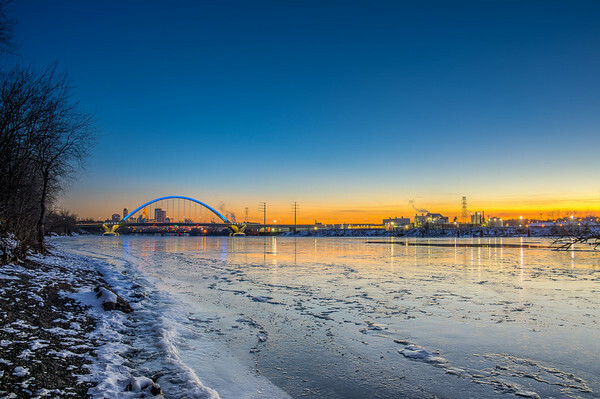 It was quite cold out there next to the Mississippi River but if you want to take photos in Minnesota you need to brave the elements once in awhile. I also used Nik Software Color Efex Pro 4 to finish this HDR. I first ran it through Photomatix, then tweaked in CEP4 followed by Lightroom finishing touches. I haven’t really developed a workflow with CEP4 yet so this was sort of free form. Lowry Avenue Bridge as the blue hour settles in. Here’s another shot just after the lights on the columns(not sure what to call them) came on and the blue lightning in full effect. You can see more here at Lowry Bridge.